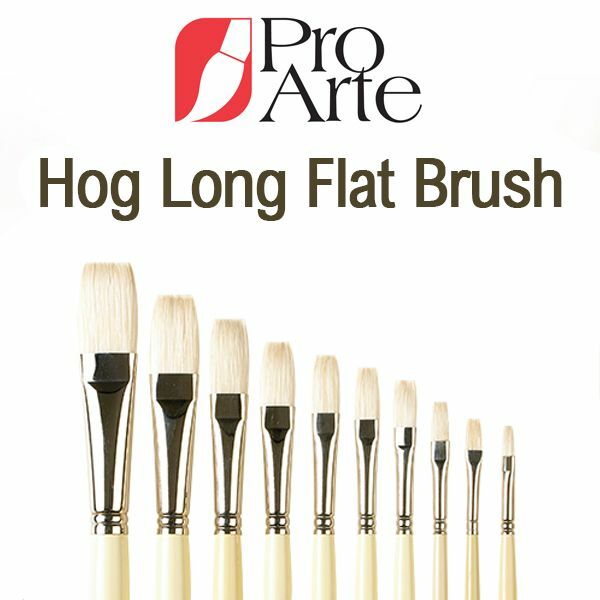 Pro Arte Series B Hog brushes are made from the finest Chungking Hog Bristle. The stiff bristles are desigend for use with oil paints and heavy acrylic paint. These fine artists' brushes have long cream handles with silver ferrules. Available in five shapes, short flat, long flat, round, filbert and fan brushes.